Weight loss is another topic that hypnotherapy is often searched for. It has a very high rate of success, but sometimes it may be related to a medical condition. There are two types of individuals, first, those who can have a great outcome in up to two sessions, and second, those who have latent emotional issues, which is completely fine. The treatment can then be prolonged for many more sessions. One of the big issues is the so-called yo-yo effect. This is why weight loss is a complex process. Even in hypnotherapy, when only hypnosis is applied, the majority of people report that they gain weight back in a short period. That’s why it is more effective to use the CBT approach prior to the hypnosis application. Excess weight nearly always represents emotional imbalance in life. If you’ve been told by your doctor that you have a high risk to become obese, depending on which health test you had, there are still more factors. You can check your BMI index, or you can check your blood, or you can ask your doctor for a blood sugar tolerance test over six hours (this is little bit longer). Anyway, when you’re at your GP, you can discuss with them the option of using hypnotherapy for treatment. 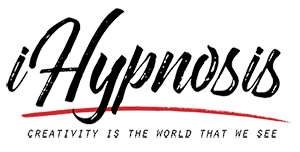 If you are looking for weight loss, hypnosis is an effective way to achieve it.